Former high school history teacher, lawyer, and union counsel, Randi Weingarten, president of The American Federation of Teachers (AFT), was elected to her influential post last July. 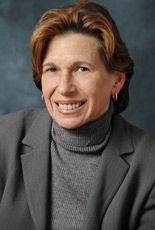 She has also served ten years as president of the 200,000-member United Federation of Teachers (UFT), the largest union local in the U.S.
Weingarten, who describes herself as a child advocate and a proud trade unionist, on a mission “to help all our students succeed,” has become a respected public voice at a time that she characterizes as “a turning point in the American journey,” a pivotal moment in American education. Recently on the short list of senatorial candidates for the state of New York, she reflects on questions posed to her by T&L. What does the future look like at the AFT? T&L: President Obama speaks of modernizing schools – how do you define that? RW: President Obama sees a sound public education system as a cornerstone of a sound economy; improving the two are inextricably linked. AFT just launched a campaign called, “Fight for America’s Future: It’s Dollars and Sense,” to make sure funding at federal, state, and local levels continues to provide for Medicaid assistance for states, infrastructure that includes modernizing schools, funding for NCLB and IDEA, and money to ensure that higher education is not only accessible, but attainable. T&L: What teaching strategies do you feel best embrace new technologies? RW: Teachers, especially new teachers, spend considerable time and energy searching for or creating lesson plans, curricula, primary source documents, and other resource materials. They often turn to the Internet, where there is an abundance of information—sometimes too much—but no quality control. Teachers need the best resources that align with the high standards and curriculum they need to perform their jobs. Then they can use their time to hone their skills, adapt lessons to meet the needs of particular students, and assist and collaborate with colleagues. T&L: What is your plan related to partnering with IT companies and others to develop online research networks with data on curriculum, lesson plans, and primary and secondary source documents, print and electronic? RW: An online teacher resource network would help bring teachers into the 21st Century by facilitating their use of the Internet to support classroom instruction in practical and meaningful ways. At the AFT, we have committed to helping teachers grow professionally through technology. In New York, AFT members have partnered with public television to create a 24/7 TV channel and broadband service devoted to professional development of the K-12 workforce. We also launched a Website for educators to provide information, materials, and a set of lesson plans entitled “2008 Historic Election: A Teachable Moment,” to help students absorb moments of the history-making presidential campaign and election. In addition, we’re a proud primary funder of Colorin Colorado, a free Website with information, activities, and advice for educators of English language learners (ELLs), and a variety of teaching and learning resources in Spanish geared towards their parents. We have also collaborated with Teachscape, an online professional development company to create and offer online courses and resources for novice and veteran teachers.